I managed to watch the last couple of games of the 3rd match on Centre Court between Jo-Wilfred Tsonga and Denis Istomin. Without doubt he is one of the most entertaining players to watch on tour and I urge everyone to watch him live if you get the chance! 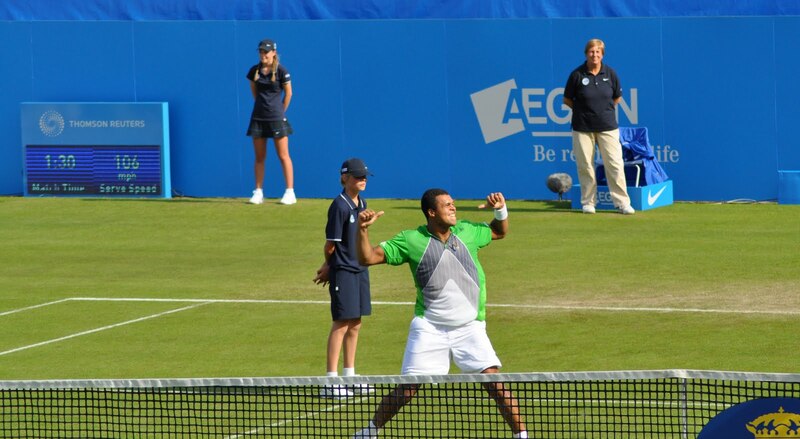 In the latter stages of the second set, Tsonga produced an incredible diving volley to thwart a disappointing Istomin. 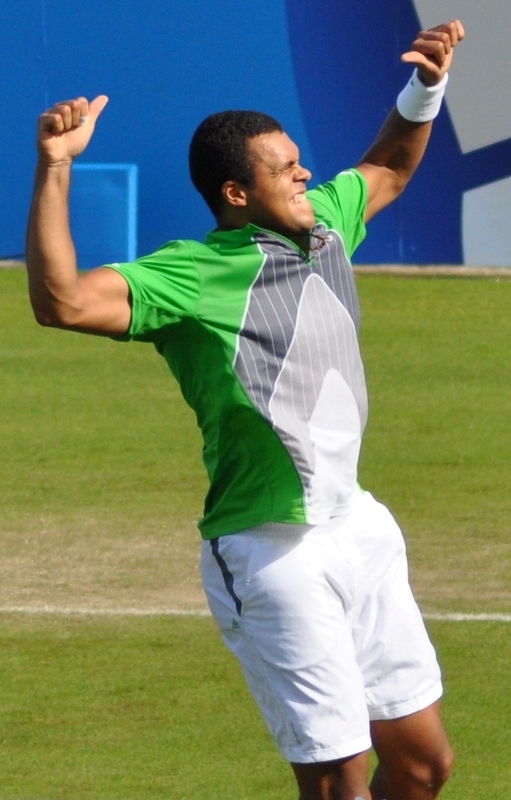 Tsonga was evidently knackered in this match and showed a lot of frustration as he was eager to finish the match off quickly following his exploits at Queens. It was a surprise that he did not pull out of Eastbourne after his run to the final at Queens but credit to him for turning up. I was especially pleased to get a picture of his celebration, which I missed out on at Queens after his opponent retired. I also saw the first five games between Lleyton Hewitt and Olivier Rochus. 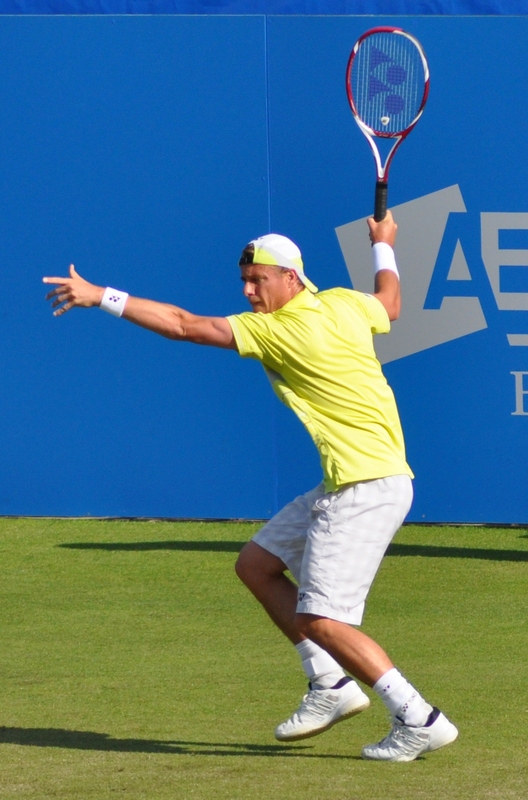 Hewitt went onto retire in the second match and looked uncomfortable from the start. Rochus started the match in superb fashion and hit a number of classy winners with his impressive backhand. We only stayed for five games as I wanted to get a shot of the French Open Champion, Li Na who was in action against Tamira Paszek. From what I saw, it was a high quality match between the two players. Li managed to use her experience to edge both sets and raise her game at the crucial stages of both sets. Both players hit some sparkling winners and I was particularly impressed with Paszek who was a real fighter based on her performance here. She ran down everything, and during one point she fell over but managed to claw her way back into the point before Li eventually finished her off with some brutal hitting. 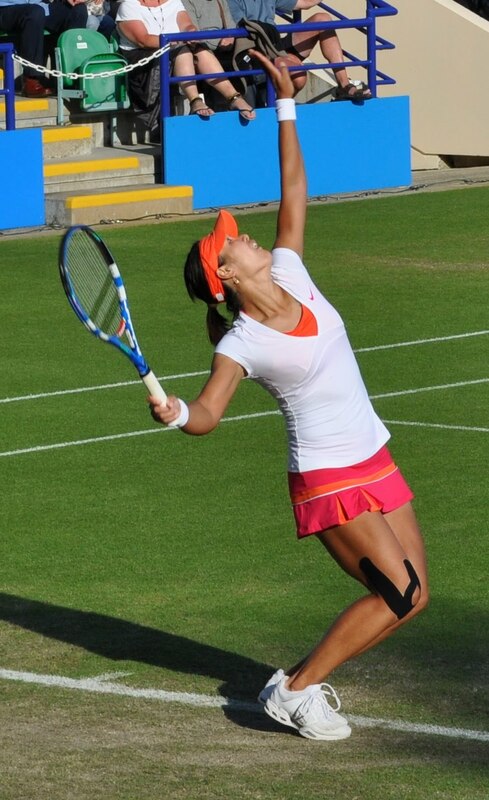 Paszek has a strange action on her serve, but it seemed to work for her. I would fancy her to win a few rounds at Wimbledon this year based on this form. 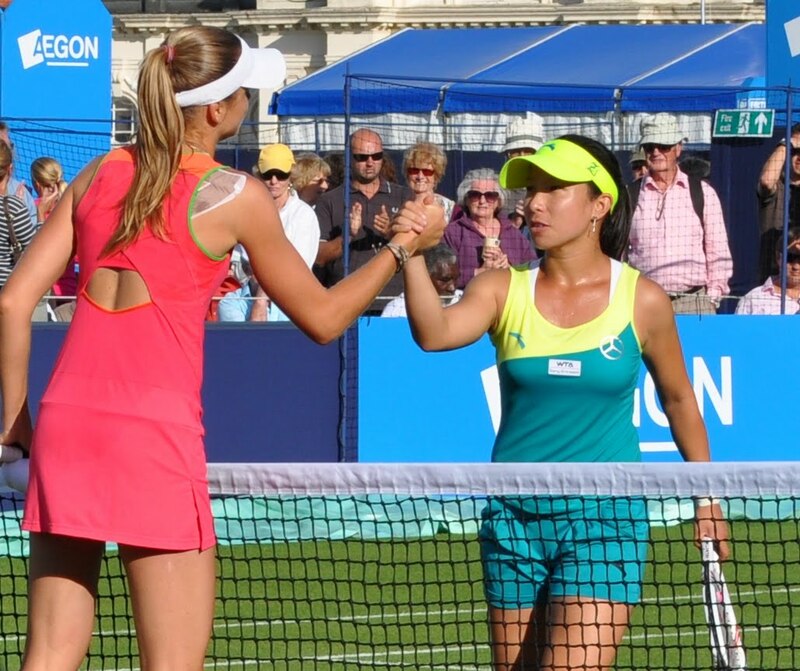 The last match I got a shot off was between Daniela Hantuchova and Zheng Jie, which Hantuchova won 6-4 6-4. Zheng is a great hitter of the ball but seemed to run out of ideas against Hantuchova, who has flourished in recent months. She was delighted with the win at the end after coming from 4-2 behind in the 2nd set. 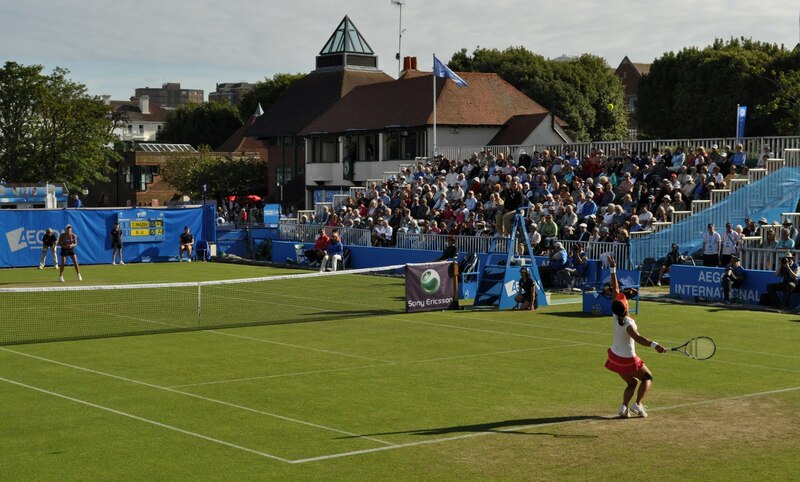 June 17, 2011 in Eastbourne, Hantuchova, Hewitt, Istomin, Li, Paszek, Rochus, Tsonga, Zheng.